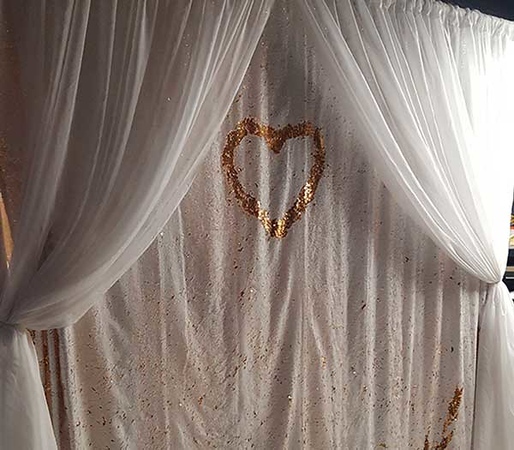 Our Seamless mermaid sequin backdrops feature double sided sequins to let your creativity run free. Easily create any message or image you wish on the backdrop with just the touch of your finger. This backdrop measure from 7 feet to 8 feet wide and 7 to 8 feet tall.